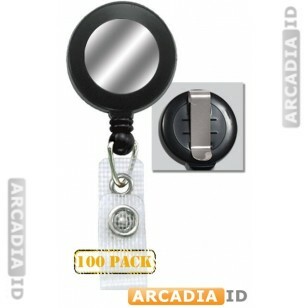 100 black belt clip badge reels. These clip to a belt or anything else and offer an extendable cord for easy access. 32mm and reinforced for extra longevity. Browse the site for different types of belt clip in a range of pack sizes. You can rely on ArcadiaID for the top prices and quality.